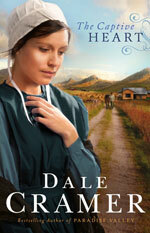 The Daughters of Caleb Bender series by Dale Cramer is based on the daughters of the author’s own great grandfather who was the elder statesman of a colony of Old Order Amish who emigrated to Mexico in the 1920s when the state of Ohio passed laws requiring the Amish to send their children to public schools. Dale’s father was born in Mexico so he has a strong vested interest in these stories. So how many New Year's resolutions have you broken so far? I wasn't brought up to make New Year's resolutions. My parents taught me that if something was right to do, I should start now. If it was wrong, I should not wait for January 1 to stop. They had a good point, but the fact is that for many of us the new year is a time of thinking back over the past twelve months, noticing things we wish we had done differently and planning how to improve. As my husband and I approach retirement in a couple years, I find myself thinking back farther than the past year.